Go behind the scenes at Cotswold Wildlife Park and Gardens by becoming a Keeper for a Day. Cotswold Wildlife Park have a few spaces for Keeper for a Day in 2019 left – and they are selling out fast! 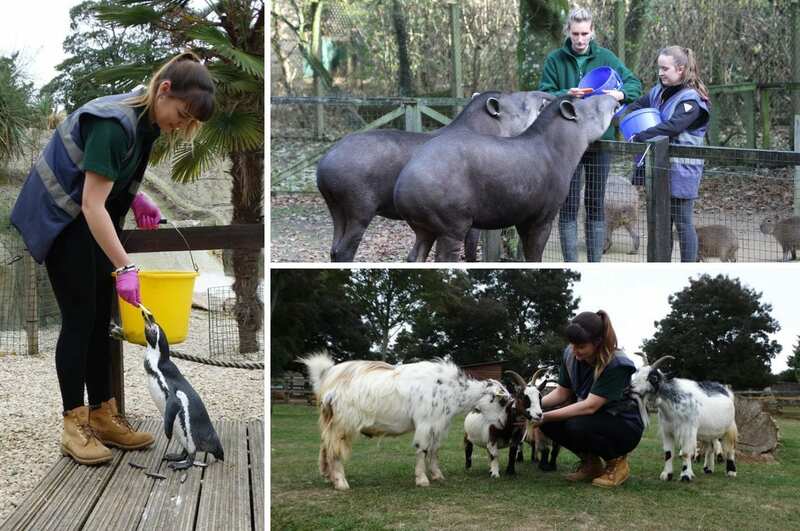 You’ll have the chance to gain practical experience of working with their exciting collection of animals, and you’ll meet the keepers who look after them on a daily basis. Working with the keepers on a one-to-one basis throughout the day, there’s a lot to be learnt from this experience. The day runs from 9am to 4:30pm and includes activities such as mucking out, preparing food and feeding some animals, as well as learning about the enrichment techniques Cotswold Wildlife Park use to ensure their animals are kept stimulated. 9.00am – Meet outside the gift shop, health and safety check. 13:00pm – Lunch (restaurant voucher provided). 14:00pm – Reptiles, behind the scenes tour and Giant Tortoises. 15:00pm – Large mammals including Tapir, Capybara, Giraffe and Big Cat feed. Keeper for a Day is a unique opportunity for you to explore the real world of a wildlife park – don’t miss it! Customers must be 17 years or over. For more information, visit: www.cotswoldwildlifepark.co.uk.